A little reminder can go a long way. Especially when it comes to cleaning up the dreaded messes around your home. Taking a step back and tackling one task at a time throughout the weekdays can make your cleaning life much easier. 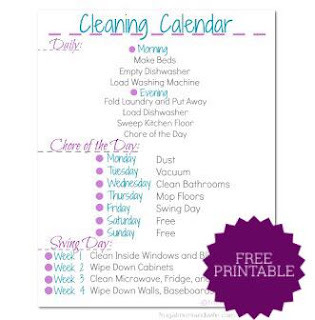 Start with this handy free printable cleaning calendar to get all those messy tasks cleaned up in no time at all.